Just a few days ago, we got the first glimpse of the upcoming Harrier's interior. Going back a few weeks, Tata laid all doubts to rest by revealing the exterior images of the actual, production-spec car on its social media accounts. Now, further details of the car's interior have been revealed on the company's website. This time the manufacturer has revealed the interior bits of the car – the design of the door handle and AC vents to be precise. 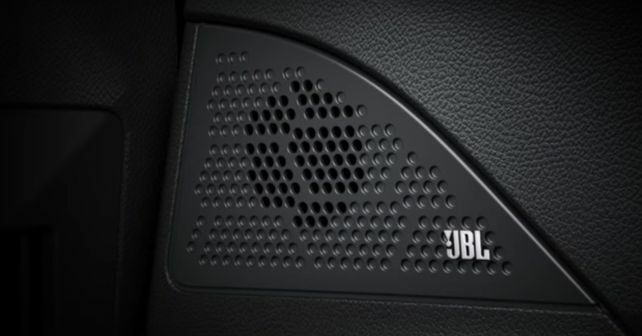 The images also reveal the fact that the Harrier's sound system will come fitted with JBL speakers. This particular revelation isn't much of a surprise as Tata's latest-gen ConnectNxt infotainment system, which has been seen on the Nexon, Tiago and the Tigor, uses Harman-JBL sound units as well. The images show that the door handles and the door-pull surrounds have been finished in brushed aluminium. Same is the case with the AC vent surrounds. The upholstery and the centre fascia on the dashboard are expected to carry a dark, tan-brown finish and the overall upholstery is expected to be finished in a similar brown-grey combination. While these are the details available on the Harrier's interior so far, judging by the pattern, more are expected to come to light in the coming days. The Harrier, besides being Tata's full-size SUV offering, also marks a significant upward movement in the brand's product lineup, as it will be the first model to feature the brand's new OMEGARC platform and will also be powered by an all-new, KRYTOEC-series powertrain. In a way, the Harrier will be a litmus test for the brand's future models, which are likely to borrow its debut tech.